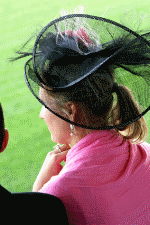 Royal Ascot betting | Compare odds UK, Europe, Premier League and European leagues. Arguably Royal Ascot is one of the best known race meetings in the UK. Well known for socialising and betting, not to mention the extravagant hats. The Royal Ascot race is the highlight of the Ascot racecourse’s calendar. A crown jewel for english flat racing. The prestige that has come to be associated with the Royal Ascot has a clue in the name. The flat race got it’s Royal status a long time ago. Three centuries in fact. The Royal Ascot has grown into one of the main events on the English social calendar. Not to mention on the sportsbook betting calendar. More money is bet at Royal Ascot, and more champagne bottles emptied, than at any other flat race meeting in Europe. History of Royal Ascot ? Ascot’s royal connections date back nearly three centuries. Not many sporting venues are founded by reigning monarchs, but Ascot’s days as a racecourse began when Queen Anne was out riding on the open heath in 1711. The ground looked ideal for “horses to gallop at full stretch” and (perhaps more importantly for the Queen of England) was situated close to Windsor Castle, her home. Queen Anne offered a prize to the winner of the first race ever held at Ascot. The event was called Her Majesty’s Plate, was worth 100 guineas and consisted of three four-mile heats – although the modern-day thoroughbred was coming into being at the time of the Plate, top-level horse racing in 1711 was principally between larger English Hunter horses and rewarded stamina over straight-line speed. The modern Royal Ascot festival still features a race called the Queen Anne Stakes in tribute to the monarch’s role in founding racing at Ascot. Ascot racecourse is also, in theory at least, the property of the Crown, although it is legally preserved as a racecourse for the public by Act of Parliament (not an argument that will get you very far if you want to get into the Royal enclosure without a top hat) and until 1939 Royal Ascot was the only race meeting held at Ascot. The Royal meeting began either in 1768 when the first four-day festival was held at Ascot, or in 1807 – even Ascot Racecourse itself isn’t sure. The course got its first permanent building in 1794 and the Ascot Gold Cup was run in 1807. The Wokingham Stakes followed in 1813 with a number of other significant races throughout the nineteenth century. New races were frequently named in honour of, or with reference to, a member of the royal family. The King’s Stand Stakes, the Alexandra Stakes, the Prince of Wales’s Stakes and so on. (Ironically, the most prestigious race to be held at Ascot each year, the King George VI and Queen Elizabeth Stakes, is not part of the Royal Ascot festival). It is no accident that Audrey Hepburn’s character in My Fair Lady was unveiled as a fully paid-up English socialite at Royal Ascot. The festival meeting is regarded around the world as one of the most exclusive social events. Each one of the five days of racing is attended by the British royal family, for starters, members of which arrive each day in a horse-drawn carriage. Entrance to the Royal Enclosure is by invitation only (or it was until 2007, when it became available as part of a corporate hospitality package) and involves a famously strict dress code. Men in the Royal Enclosure at Royal Ascot must wear morning dress (top hat and tails) at all times, while women must cover their shoulders and midriffs and wear a hat (or “a substantial fascinator”) at all times. Media coverage of the festival frequently involves discussion of the outfits on display as much as it does the racing, which for many guests is a distraction from the champagne-drinking social aspect of the event. Despite – or perhaps because of – such glorious indulgence, the racing on display at Royal Ascot is second to none in the sheer depth of its quality. Around one-quarter of all the Group One races in the UK are held at Ascot during the June festival, with at least one Group One race on each of the five days. More than £3.5 million is up for grabs in prize money, tempting the richest racehorse owners in the world to bring their stables to Berkshire for the week. Around 300,000 people attend the meeting, making it the best-attended race meeting in Europe. It also means lively, competitive betting markets, with the abundance of money being bet translating great odds for punters as bookies try to balance one huge bet against another. The number of well-connected people betting on Royal Ascot means the market frequently offers an accurate guide to the race itself; the horses involved are often well known and their previous races and even their training is well reported before the race. There is no shortage of betting tips in newspapers, on TV and on the internet beforehand. Thursday is the most popular day at Royal Ascot. As well as being Gold Cup day, the day has become known as “Ladies Day” – when the most extravagant fashions are brought out on display for Royal Ascot. We recommend William Hill for your royal ascot betting.